In recent years our city has experienced a growth rate greater than any in the province of Alberta. We have developed into a vibrant area that is celebrated for its culture, education and government. There are many opportunities for continued growth and prosperity in the technology sector. This is also considered one of Canada's foremost centres for research and education and is the birthplace of some of our biggest names, from Canadian Western Bank to Boston Pizza, Booster Juice and the Running Room. We're also a thriving sports town and home of the Edmonton Eskimos football team and the Edmonton Oilers hockey team. 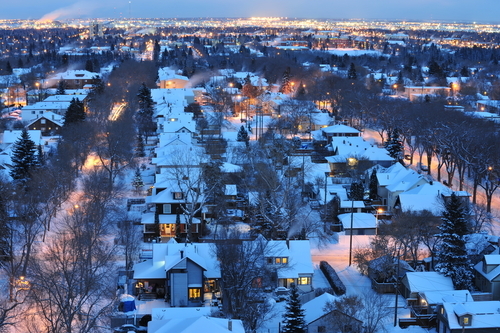 Check out MLS® listings in Edmonton's best neighbourhoods. The REALTORS® Association of Edmonton has grouped communities into zones, making it easy to locate different neighbourhoods. Find Edmonton houses for sale in your preferred community below. Browse Edmonton & Area MLS® listings by zone and community by clicking on your preferred area on the map above, or read about the city of Edmonton below. Edmonton isn't all business. There's plenty to do and see here with fun for the whole family. World-class attractions and stunning outdoor urban parkland and landscapes surround Edmonton houses for sale and draw homebuyers as well as tourists from around the globe. From our picturesque prairies to our Boreal Forests and citywide hiking, biking and walking trails Edmonton communities are connected to our natural landscape. We also receive more sunshine than most other Canadian cities, with mild winters and low precipitation. Perhaps this is why we're the host city for some of the largest festivals in the country, including the annual K-Days that features carnival rides, live music, tradeshows, fireworks, food stops and more. Edmonton communities have much to offer families, working professionals, retirees or empty nesters. Email us or give us a call today at: 780.486.8655.